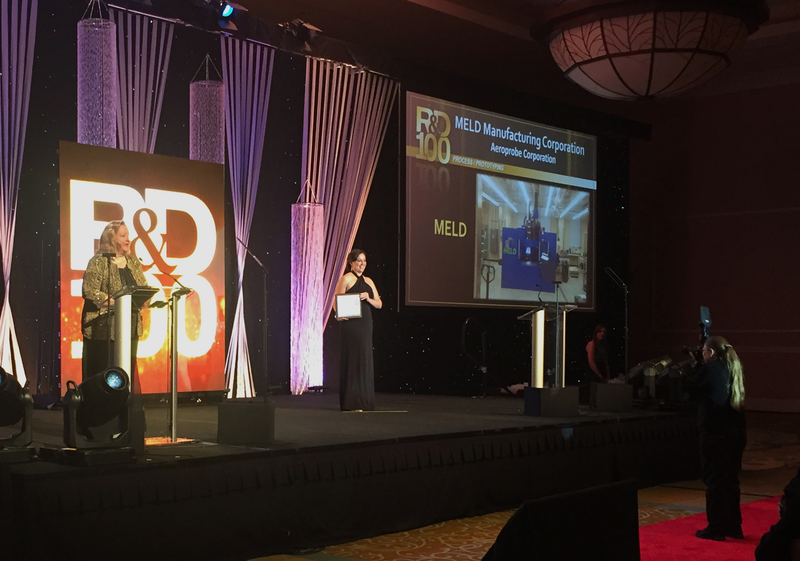 MELD Manufacturing Corporation’s patented MELD™ technology has earned a spot in the 2018 R&D 100 Awards, an international competition that recognizes the 100 most exceptional innovations in science and technology from the past year. MELD™ was selected as the single most disruptive new technology and received a special Market Disruptor award. MELD™, which was named an R&D 100 finalist in August, is a revolution for additive manufacturing and repair of metals. Traditional methods melt materials, introducing weaknesses. MELD™ is a no-melt process for metal, offering stronger, better parts. No melting also offers the potential to work with unweldable materials. This freedom offers the ability to rethink how particular materials are used for various applications and in what combinations. MELD™ is highly scalable, allowing it to make much larger parts than competitive processes. It is also the first system of its kind for building large-scale 3D parts. 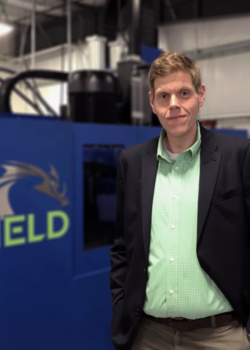 MELD Manufacturing Corporation launched in 2018 and its immediate relevance to the manufacturing community was made evident at the 2018 North American RAPID + TCT conference and exhibition, an event boasting more than 6,000 visitors and 300 exhibitors from the AM community. MELD™ was selected from this sizeable group of established industry leaders to receive the 2018 RAPID + TCT Innovation Award, a recognition of the most innovative new technology with industry-changing potential. MELD™ next won first-place in the Robotics/Automation/Manufacturing category of the Society of Automotive Engineers’ (SAE) Create the Future Design Contest. The contest, produced by SAE’s Tech Briefs Media Group, recognizes the year’s best in engineering across seven categories. MELD™ was selected from more than 800 entries from over 60 countries. Long considered the elite recognition of new developments in science and technology, the R&D 100 Awards is now in its 56th year. The awards are competitively judged and exist to “recognize excellence and inspire innovation.” This years’ winners were announced at the annual R&D 100 Conference in Orlando, Florida.